To the Northeast of France is Champagne-Ardenne, which produces excellent champagne. Apart from its reputed vineyard sceneries, the region also has several scenic parks, forests and lakes. Ardenne has endless forests to the North with many untampered villages to the South. The region is the home to the world’s most celebrated drink – champagne. Its town of Epernay, with expensive houses and mansions, exhibits its champagne-based wealth. The tour of champagne houses can be started from the Avenue de Champagne. At Castellane, you get to view the town from the 1905 tower. The town of Reims is notable for the Reims Cathedral of 1211 to 1480, which is one of the best examples of French Gothic architecture. Apart from its sculpture and glass windows, the cathedral has 35 statues at its Western portal. Among the most popular of those are the small figures of angels, together with the famous ‘Smiling Angel of Reims’.. The ‘Palais du Tau’, which is now a cathedral museum, was earlier the residence of the King of France and was popular for its statues and tapestry. Champagne-Ardenne played a prominent role in French and European history. The region, then called Lower Belgium , thrived under the Gauls. Several European powers forged a coalition in 1214 to challenge the growing power of France. However, King Philip’s forces defeated the coalition at the battle of Bouvines. France was then the leading European country. However, the political unrest and the religious intolerance of the 16th and 17th centuries left their mark on the region. The events leading to the Reims Armistice in 1945 are particularly significant for the history of Champagne-Ardenne and the development of its buildings and cities. The city of Troyes is described as ‘La cite en forme de bouchon de champagne’ which literally translates into ‘the city in the shape of a champagne cork’, also evident from its aerial views. The city has several churches and each of those has its own unique features: The Saint Remy Church with its clock on the bell tower; the St Jean-au-Marche church where Henry V married Catherine of France. Langres is an attractive town above the Marne River. The town is surrounded by ramparts that are about 3.5 km long and include fortified towers and gateways. While some parts of the ramparts date 2000 years back, others are very recent. The rampart can be toured by a little tram, with Langres being the first French town to have a train able to climb steeper slopes. These trains run on an additional special notched rail which provides better traction. 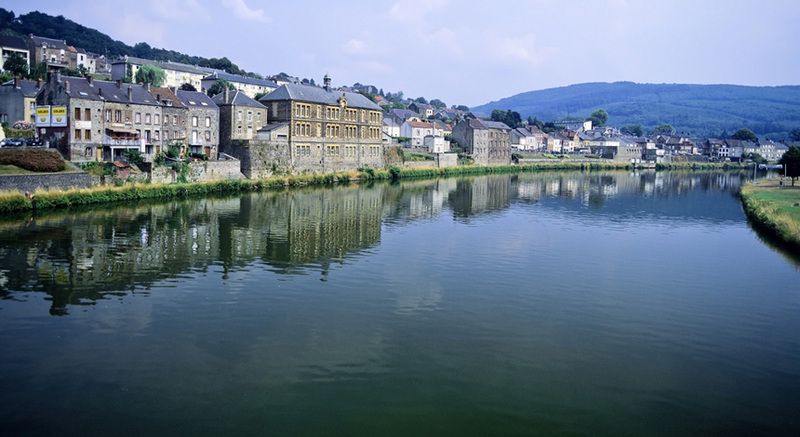 The Ardenne region has a lot to offer to those who like the outdoors – the countryside is ideal for nature-lovers and hikers, while the lakes of Vieilles Forges would surely attract canoeing enthusiasts. Ardenne also has several castles and fortresses, many of which date back to the Middle Ages. The Cathedrals of Sedan and Rocroi are the most popular ones. There are also several manor houses and residential chateaux pertaining to the 18th century. Charleville-Mezieres of the Ardennes region was established in 1966 as a result of the merger of two towns – Mezieres and Charleville – and is referred to as the gateway to the region. The area is ideal for nature-lovers and trekkers who prefer the tranquility of places that have not been exposed to mass tourism yet.want The Place Ducale, which forms the central square of Charleville, was designed by the architects of Louis XII who wanted to introduce a new urban planning system.